Johnny Impact was voted off of Survivor on the latest episode. He’s still the Impact World Champion, however. 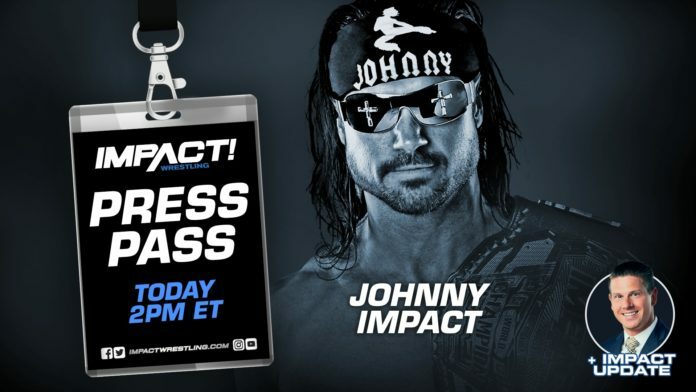 Johnny was also the guest on this week’s Impact Press Pass media call. He commented on his ongoing rivalry with Killer Kross and scheduled title defense against Brian Cage at Homecoming. Last week on Impact Wrestling, Johnny Impact turned down Killer Kross’ offer to watch his back. I asked Johnny if he gave Kross’ offer any second thoughts after finding out Brian Cage will be cashing in “Option C” at Homecoming. Johnny Impact (c) vs Brian Cage for the Impact World Championship has been made official for the PPV. Johnny continued to say he just doesn’t want Kross anywhere near him, his wife, or his dog. Based on what happened last week, however, it’s likely Kross continues to involve himself in Johnny’s business, even as Johnny prepares for Brian Cage. “Honestly, would you rather have a sociopath anywhere near you or backstage out of the match completely?” Johnny asked. Homecoming takes place January 6th, 2019 from the Nashville Fairgrounds (aka the Asylum).